Birankai members gathered at Bucks County Aikido this weekend for a regional seminar that brought together teachers and students from across the Northeast and as far away as Michigan, Illinois, Florida and Washington. More than 76 people practiced and took part in testing and a truly epic potluck party. 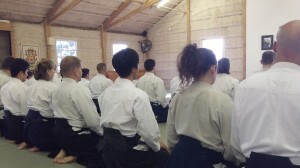 Darrell Bluhm Shihan of Siskiyou Aikikai explored the concept of positive movement by nage in techniques to take the center. 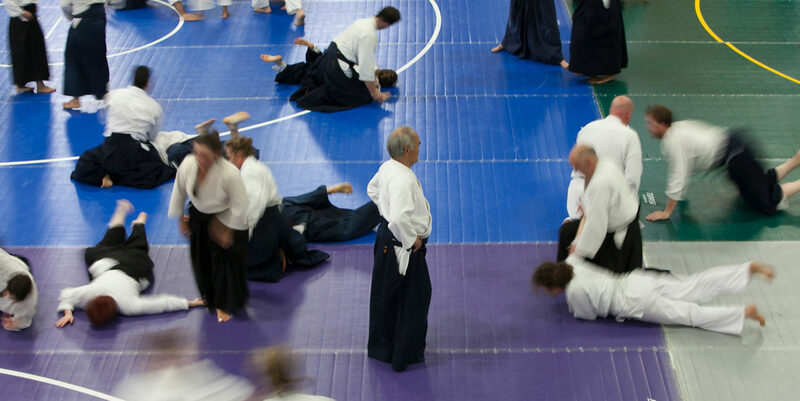 George Lyons Shihan of Bucks County Aikido urged us to “trust the principles” of Aikido and put ourselves at risk as nage to draw a committed attack. Visit BiranOnline on YouTube to see more videos by Bluhm Sensei, George Lyons Sensei, Patti Lyons Sensei and Robert Savoca Sensei of Brooklyn Aikikai. Often invoked were memories of Mark Murashige Sensei and Jack Arnold Sensei, treasured Birankai teachers who both passed away in recent weeks. Their legacy of selfless teaching and joy in practice was alive on the mat in Bucks County this weekend.